Ideally located in the heart of Dubai- the hotel is within walking distance of the exotic Dubai Jumeirah Beach- shopping district- financial district- World Trade Centre- Heritage Village- Historical Museum and Creek and 10 minutes from Dubai International Airport. 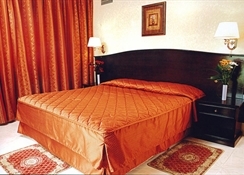 This 64-room city hotel offers business travelers and tourists a new concept of hospitality and personalised services. 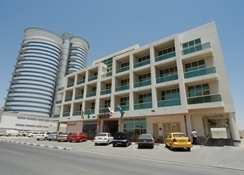 The special feature of the hotel is its location- a quiet area in the Bur Dubai District not too far from the busy streets. The hotel features a swimming pool- hot tub- sauna- steam room and a gym. Guests can dine on the delicious food served at the on-site restaurant. The fully resourced kitchen area allows the guests to prepare their own meals as well. For a truly unforgettable and luxurious experience- stay at this hotel." This 64-room city hotel offers business travellers and tourists a new concept of hospitality and personalised services. 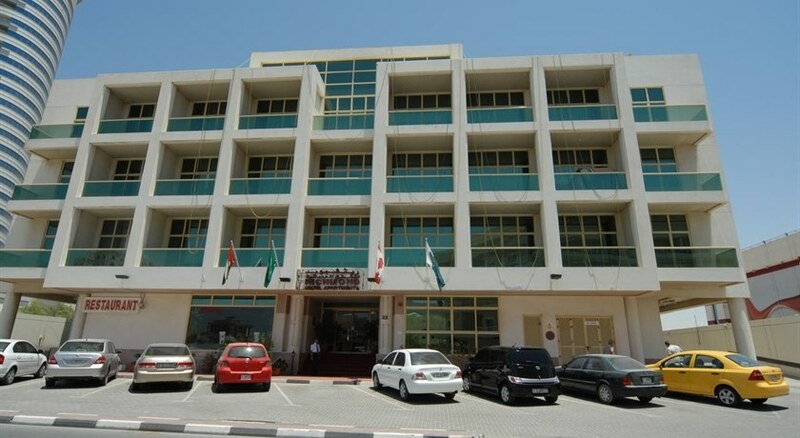 The special feature of the hotel is its location, a quiet area in the Bur Dubai District not too far from the busy streets yet enabling guests a homely environment and privacy. At the same time the accommodation enjoys easy access to the city's market, shopping malls, Dubai World Trade Centre and beaches. In addition to a lobby area with 24-hour reception and check-out services, hotel safe and currency exchange desk, facilities available to guests at this air-conditioned establishment include a supermarket, hairdressing salon, restaurant and Internet access in public areas. Room and laundry services are provided, and guests arriving by car may leave their vehicles in the hotel car park. 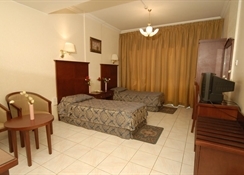 Unpretentious suites with conservative decor provide cable TV and Internet access. Studios and apartments add balconies and kitchenettes. Room service is offered. Up to 1 kid aged 11 and under stays free with a paying adult. This modest apartment hotel is 1 km from the nearest metro stop, 4 km from the Dubai World Trade Centre and 8 km the Burj Khalifa skyscraper. Parking is free. Other amenities include a simple restaurant, an outdoor pool and an Internet cafe, plus a fitness centre with a sauna and a hot tub.